The growing smartphone penetration in Africa is music to the ears of many phone application developers emerging out of colleges and innovation hubs in and around Nairobi. These developers hope that they will make money off their nifty and innovative apps. However, selling apps in this region is not particularly popular. Maybe it is because this market believes everything on the internet should be free? Or perhaps it is because no easy payment method has become available for popular mobile phone operating systems? John Kieti, the lead at M:lab East Africa, an incubation centre for mobile applications, thinks that one of the hurdles to selling apps is payment methods have not adapted to accommodate Kenyan preferred payments, making advertising an easier option. “Advertising will mostly work for apps with massive reach already. For developers and entrepreneurs who want to make money sooner, other monetization models including paid apps and subscription should be pursued,” Kieti told IDG Connect. “Paid apps can become mainstream if we sort out our payment infrastructure using homegrown solutions. I don’t think credit cards are the solution yet though,” he added. The Android platform could be the culprit here. 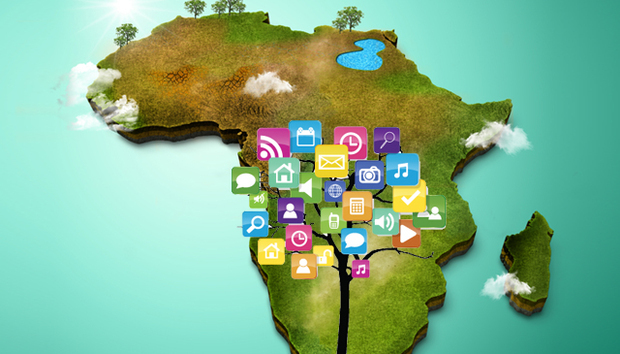 The most used platform in Africa has not been sensitive to its own fans. The only payment method is credit card, which are not widely used in the region. Kieti, whose organization hosts top developers across East Africa, has tried to get Google officials to provide diversified payment options on the Android platform for this market. Nothing has yielded yet. “I talked to a Google rep once about this and they don’t seem to see the urgency - two years down the line. Africa may not be their priority so we may have to come up with our own app economy,” Kieti said. Meanwhile, Android’s biggest competitor, Windows platform has befriended the continent by offering carrier billing for most major phone operators. This means that users can easily buy apps and have the amount deducted from their airtime credit. “The people at Microsoft succeeded in introducing operator billing with Safaricom. That was largely driven by Nokia. Microsoft should try and sustain this - its ecosystem of apps and install-base of users is still small though,” Kieti said. According to StatCounter, the Android platform is the one that is widely used in Africa, commanding slightly over 50% of phones as of December 2014. According to M:lab East Africa statistics, most developers are creating their apps for Android. For the runners up, Windows platform, carrier billing has worked globally. “Microsoft has established Carrier Billing connections with 81 carriers in 46 markets around the world, bringing a combined subscriber base of 2.6 billion users, which is 46% of all subscribers worldwide, more than any other major smartphone platform supports today,” Latiff Cherono, a Windows Phone Community Evangelist told us. Recently when Fortumo, a mobile phone billing company announced that it had a deal with Safaricom to enable carrier billing, there was a sigh of relief within the tech ecosystem. But Safaricom denied any reports of such a deal. Even so John Kieti sees the avenue as the one of the ways to sell apps. “The role of mobile money and operator billing will be key. Local online wallets such as Pesapal and JamboPay can take up a big role in the future. For now, let’s convince Google to work with Telco’s on operator billing for the Android app store, and the stage will change,” Kieti said. Whichever way the market decides to go, the biggest work will be to encourage people to actually buy apps from local developers. Having an inherent habit of buying apps is the only way to push demand for local payment methods. And at the same time lack of payment options such as mobile money and carrier billing, undervalues the potential customers for Android apps.